When I was teaching the Law of Sines and the Law of Cosines I decided to challenge myself by actually deriving each equation. 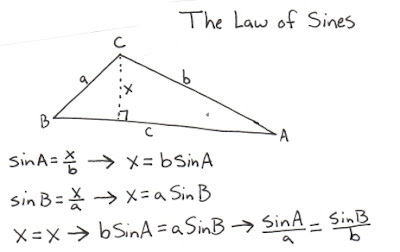 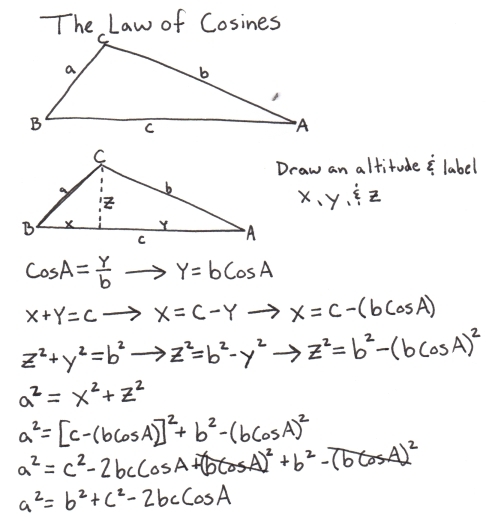 The Law of Sines was pretty easy, but the Law of Cosines took me 3 tries before I was able to get it. Here they are.